If you think that you’d be helping the environment and reducing the carbon footprint by scrapping your car, you’d be right. When your car is ready to scrap, it will be sent to an authorised treatment facility where it will be dismantled correctly and hazardous fluids will be disposed of safely without polluting the environment. 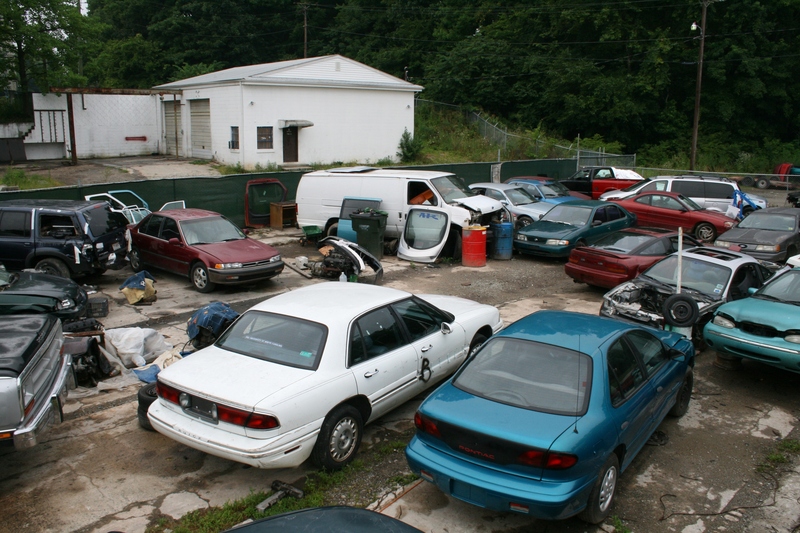 But that’s not all; a whopping 80% of your scrapped car can be recycled! Here’s a look at 4 main materials used in the manufacture of cars and what they can be turned into once you give your car to scrap. Fibreglass insulation, glass bottles, concrete blocks; these are just some of the things recycled glass can be turned into. Look around your kitchen. The floor tiles, splashback tiles and even the countertop may well have been made from recycled windscreens. Burning off tyres is now illegal as it produces a thick, black smoke that releases toxic fumes and flammable oil substances into the atmosphere. Rather than filling up landfill sites, tyres can now be recycled to create asphalt for road surfaces, children’s playgrounds and artificial turf. Aluminium is fast becoming a popular choice with car manufacturers. Its light weight means better fuel efficiency, acceleration, braking and lower CO2 emissions. It’s also 100% recyclable and is one of the earth’s most abundant elements. Aluminium from scrapped cars can be used to make drinks cans, castings, packaging and other vehicles. Recycling plastic car parts can reduce the amount of petroleum waste and harmful greenhouse gases polluting the atmosphere. Ford uses recycled plastic to make upholstery. It takes approximately 22 plastic bottles to make the seat fabric for a Ford Focus. Honda uses recycled bumpers to make mud and splash guards. Nissan uses plastic bottles to create sound insulation in the dashboards, bottle caps for car components and recycled bumpers to make new bumpers. So the next time you pour a drink, consider that the bottle may have been made from a car windscreen, or when you’re driving your new car, the plastic bottles from your recycling bin may have been used to create the seat you’re sitting in. If you’ve got a car to scrap, do your bit to help the environment and contact Scrap Car Kings today, or visit us online for a free, no-obligation scrap car quote.